Heat extra virgin coconut oil over medium heat. Melt butter then add garlic and saute for about 1 minute or until garlic is fragrant. Pour in the wine and bring to a boil, cooking until the wine has reduced to about half its original volume. Taste and season with salt and pepper as desired. I use sea salt and fresh ground peppercorns. Set sauce aside and keep warm. Get grill as hot as you can for best results. 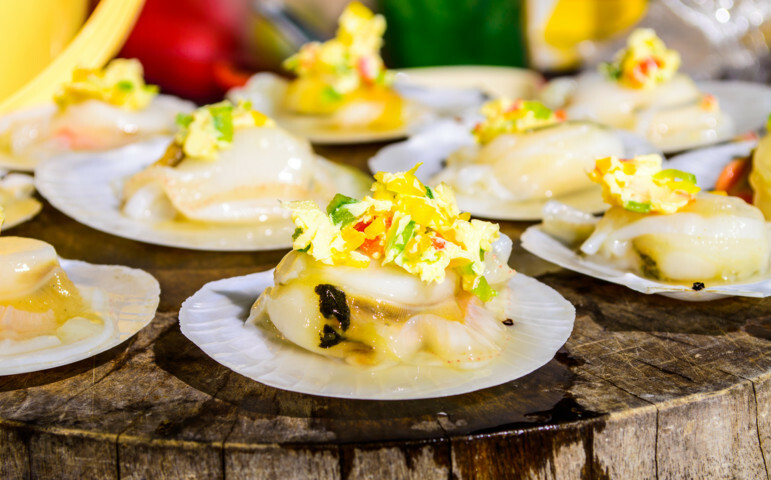 Place the scallops on grill. Remove from grill and pour scallops and juice into a shallow bowl. Pour sauce sauce over the top. Top with parsley and any optional garnishes as desired.